DC's SXSWXDC comic pop-up shop arrives in Austin with stars, freebies, and more – AiPT! Meet comic superstars Frank Miller, Jim Lee, and Brian Michael Bendis at DCXSXSW Pop-Up Shop in Austin March 9 to 18. Today, DC Entertainment announced details on their comic book pop-up shop that will be appearing in Austin, Texas March 9th through the 18th. This pop-up shop offers a pop culture experience with a viewing of upcoming SYFY drama Krypton, Batmobiles on display, a free limited-edition poster and celebrity/creator meet and greet opportunities! Possibly the biggest news is who will be attending from the creative world, which includes Jim Lee, Frank Miller, Brian Michael Bendis, and Dan Jurgens. Talent from both WBTV and DC Entertainment will stop by too like the cast from Black Lightning. To meet these creators and stars tickets will be made available on Eventbrite starting tomorrow March 2nd. Fans can find the pop-up shop 12:00 p.m. to 10:00 p.m. daily at 717 Red River Street, Austin, Texas. For more details read the full press release below. BURBANK, Calif. — Time to tap into your inner Super Hero! Warner Bros. Television Group (WBTVG) and DC Entertainment are inviting fans into their SXSWXDC Super Hero lair with an epic pop culture experience for the duration of SXSW (March 9-18). The DC/WBTV bunker will not only feature the House of El’s otherworldly origin story with the upcoming SYFY drama Krypton (premiering March 21), but also Gotham City’s coolest wheels, with a display of Batman’s iconic onscreen Batmobiles and Bat-cycles. 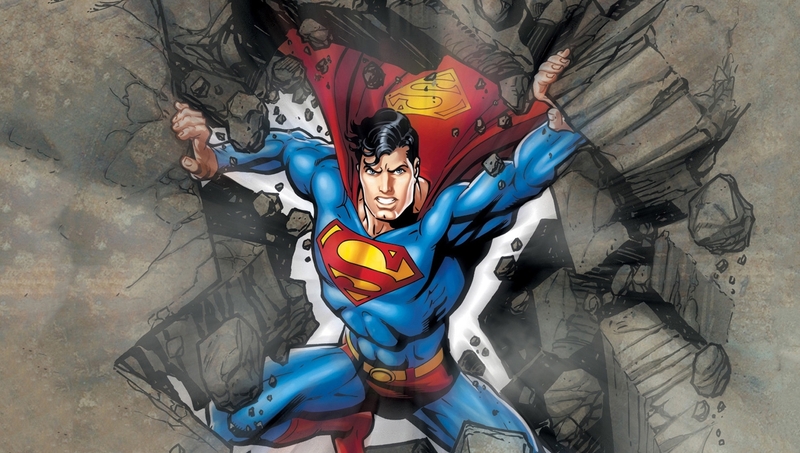 DC fans can also stop by to celebrate Superman’s 80th Anniversary and to meet legendary DC comic book writers and artists Jim Lee, Frank Miller and more. There will be free Jitters coffee direct from Central City; exclusive beer tastings from Supernatural star Jensen Ackles’ local brewery, Family Business Beer Company; a special look at how the Constantine comic has been resurrected as a digital series; photo-ops with Teen Titans Go! and the original creature from Critters; exclusive merchandise; cast and producer signings with WBTV’s Black Lightning and more! Superman’s 80th Anniversary Exclusive SXSW Book & Poster: Featuring new art by Jim Lee, this limited-edition book celebrating Superman’s 80th anniversary is only available at SXSW 2018. Comprising some of the best Superman stories, this latest edition includes new stories and custom artwork. Fans will also have the opportunity to have legendary artist and DC Publisher Jim Lee sign the book at one of his appearances during SXSW. In addition, customers of the DC Pop-Up Shop who purchase $50 or more of merchandise will receive a limited-edition poster that highlights all 1000 Action Comics covers, featuring the Man of Steel. Check it out here. Oswald’s (with Free Beer! ): The bar and nightclub featured on WBTV’s Gotham (Thursdays at 8/7c on FOX) is owned and operated by Oswald Cobblepot aka The Penguin. From 6:00-10:00 p.m. nightly, Oswald’s will be offering free beer tastings directly from local Austin brewery Family Business Beer Company, which was recently opened by Supernatural star — and local resident — Jensen Ackles!